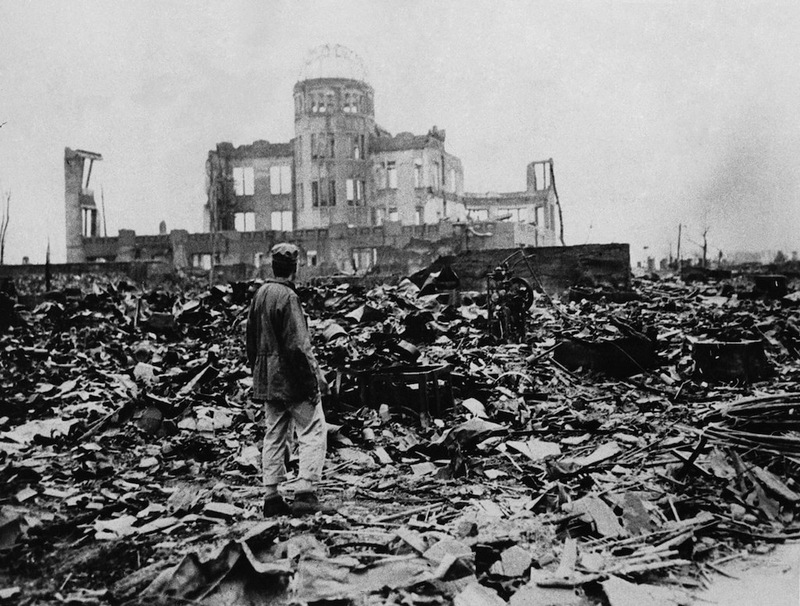 This article is a book review of Hiroshima written by John Hersey published by Penguin Modern Classic in 2001. The book was first published by New Yorker in August 1946. The book started with the flashing light from the bomb dropped on Hiroshima on August 6, 1945. The book told the stories of the six survivors, what they are doing before the bomb fell, and where they are at the exact time the bomb went off. The first was Miss Toshiko Sasaki, a clerk. The second was Dr. Masakazu Fujii, a doctor who owns a private hospital. Third, Mrs. Hatsuyo Nakamura, a mother of three. Forth, Father Wilhelm Kleinsorge, a German priest. Fifth, Dr. Terufumi Sasaki, a young doctor. And the sixth, was Reverend Kiyoshi Tanimoto, a pastor. Hersey vividly wrote about the devastation on the ground after US bomber dropped the world first atomic bomb. The clueless population beneath that immediately dead and slowly died. The burnt suffered by many of the resident, and how the survivors experience radiation sickness starting with vomiting and hair loss. After the war was over, Hersey described how the occupying force trying to conceal the information about the atomic bomb, despite the advancement of knowledge of the Japanese physicist. The survivors of the atomic bomb were called “hibakusha” literally means ‘explosion-affected person’. Many of the hibakushas did not hold any agitation on the use of the nuclear bomb. It is widely accepted as unavoidable consequences of war. Many of them influenced by Buddhism which believed resignation leads to clear vision and a feeling of powerlessness against state authority. Over time, in the aftermath, they received Health Book which gave them free medical care. They also received monthly allowances from the state. Hersey also wrote about reflection that Miss Sasaki had, she felt that too much focus was given to hibakusha (even though she was a hibakusha herself), whilst the root cause of the problem has not been addressed, which is the evil of war. The war that forced young American and Japanese to kill each other in a war that they did not understand. She later devoted her life to become a nun. Many hibakushas sustained Keloid scars after the bombing. Some left with an ugly face. Pastor Tanimoto later toured America to collect fund to build back his church and sponsored some girls a plastic surgery. Some were successful, but there are also some which ended with death. The book overall was light and easy to understand. It gave a human detail behind the worlds first atomic military experiment. Hersey tells stories on how a normal human being later become a record in human history. A normal human being turned into hibakusha, and how their lives played out in the end. A collection of a human price that been paid for unnecessary war. This book is written by two authors, Ameen Misran and Aiman Azlan. It captures diverse topics ranging from mental health up to marriage. 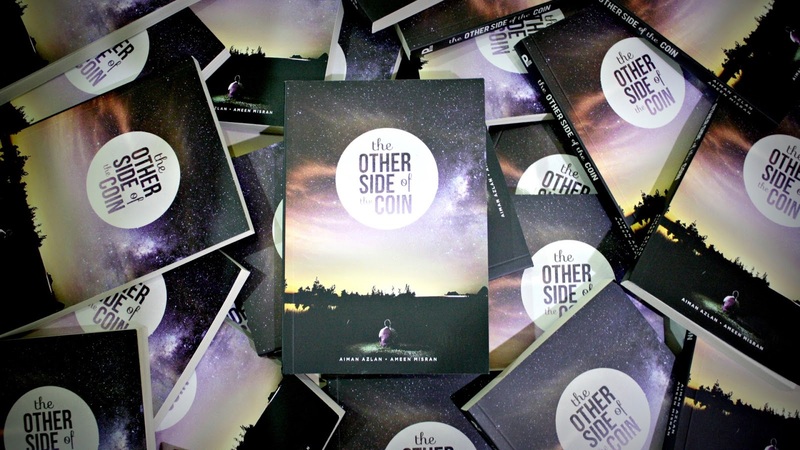 The book offers fresh thought from the perspective of two Malaysian youth, their take on a wide range of issues. The book was more like a collection of short articles, so its good for people who like micro-reading (read for 3-5 minutes). I especially like the notion of treating women with respect, giving them flexibility and also the roles of the husband in sharing house chores. I think our culture still value women as domestic helpers, but the trend seems slowly open up especially for younger generations. This echoed what was written by Sheryl Sandberg in her phenomenal book ‘Lean In’, that if you want to encourage women to be more involved in the workforce, men should be more involved doing laundry and taking care of children. The book also touches on how we should live in the present, stop and feel the winds, be more conscious of nature and of our surrounding. This is very true, quoting Eckhart Tolle mantra “Live in the Now, not in the future or the past”. Human minds are exceptionally complex, they create things which later perceived as reality, but its turn out it’s not. We always held by our past and worry about the future, the truth is, nothing much we can do about it, what we can do is what we can do now. I also want to offer some criticism of the book. Some of the writing has a very poor reasoning, some of them sound like a regular religious sermon and offering nothing new, some sounds more like authors whining (especially the part about boredom). Of course, it’s not fair to compare the book with others, as every book have their own uniqueness. Overall, it still packs with fresh thinking and advises which we can always ponder and reflect. This article is a review of Barbara W. Tuchman monumental book ‘The Guns of August’. This book is an account of the first month of the World War 1 ( WW1) which was in August 1914. Barbara W. Tuchman was not an academician, but she was no stranger when it comes to world politics, her grandfather, Henry Morgenthau was Ambassador to Turkey during WW1. The book started with the funeral of Edward VII of England in 1910 which was a special occasion where many of Europe’s monarch convene peacefully before they went to war with each other. The book was divided into 3 parts – plans, outbreak, and battle. The German’s plan was called The Schlieffen’n Plan the brainchild of Count Alfred Von Schlieffen. The plan from the start has been made clear, in case of war with France, Germany will violate Belgium’s neutrality. Schlieffen’s concentrate major German’s force toward France, only one-eighth of her force will hold her eastern front against Russia, as he calculated that Russia with its vastness and meager railroad will take 6 weeks to mobilize, by which France will already beaten and the army can be shifted east. Germany also believed that railways were key to war, the best military brain went to rail planning, Germany has mastered the art of logistics, which tuned to be very crucial and effective. The French plan called Plan 17 centered on the doctrine of an offensive war, which was taught at the War College by General Ferdinand Foch. France has been weary of been defensive all the time. The plan was thought with the spirit of France to win the war, this spirit was called an ‘elan’. The doctrine however soon proven to be hard to sustain under heavy German’s shelling. The Russian after a shameful defeat in the Russo-Japanese War began to reform its military. Corruption, weak leadership and clinging to obsolete theories, however, have hampered the reforms. Czar Nicholas was said to be uneducated in statecraft, instead, the real government was run by a class of bureaucrat called Tchinovniki, while the secret police dealt with the revolutionaries and guarded the monarch to stay in power. The outbreak of the war came when Archduke Franz Ferdinand, heir of Austria was assassinated by a Serbian nationalist on June 28. Austria with the backing of Germany declared war on Serbia and bombarded Belgrade. Prompted Russia to mobilize her army to defend her natural ally, Germany declared war on Russia. France having under obligation in a treaty with Russia began her mobilization to attack Germany, while the British, although were hesitant all the way, entered the war after Germany had violated Belgium’s neutrality. Turkey which was crucial for Germans to ensure that their supply route through the narrow strait, hesitate to pick a side in the conflict. British betrayal, however, seizing 2 ships built in Britain that were already paid by the Turks pushed them to ally with Germany. Churchill was described in the book as “violently anti-Turk”. Eventually, Germans sold 2 of their battleships ‘Goeben’ and ‘Breslau’ to Turkey. German’s Admiral Souchon then used these ships now manned by the Turks to shell Odessa, Sevastopol, and Feodosia which caused Russia, Britain, and France declared war on Turkey. The book ends with the battle of the Marne where the Germans were pushed back although it does not end the war that would continue for years. Overall the book dealt with the dilemma faced by the commanders and generals, how they made their decision and also the issue of strategy versus necessity. Not all reviewer gave a favorable review to this book. Some might said that its pseudoscience or spooky, but few people can argue that the book doesn’t have strong influence and had touched millions of readers. The simple reason for this is ‘it makes sense’. In the book, Eckhart Tolle explains the distinction between oneself (consciousness) and the mind. The separate existence of these two elements is the reason why we always heard a dialogue in our head, this according to Tolle was the mind in action. But the mind is constantly thinking, its often repetitive in nature, unnecessary, dysfunctional and destructive. It was due to this, he argues that if we fail to make a distinction between our consciousness and our mind, our energy could easily be drained out by this useless exercise. By drawing the distinction, a human can use their mind as a tool, use it when necessary, and lay it down once it does not need them, which will put them at a state of stillness and peace. The mind always perceived something from past perspective and projected what we currently doing to achieve something in future. This attachment of the mind with past and future make us less aware of what we currently do, what Tolle called ‘the Now’. Past is just a memory of the mind, while future is the imagination of the mind, while we were clouded in this time-bound, we lost the sense of the present – the Now – which is the reality. We fail to appreciate the beauty around us, we can’t feel the joy of present, we are constantly at pain. Our focus should always be the present moment, the Now – which is the reality in which we actually live in, not the past or future. 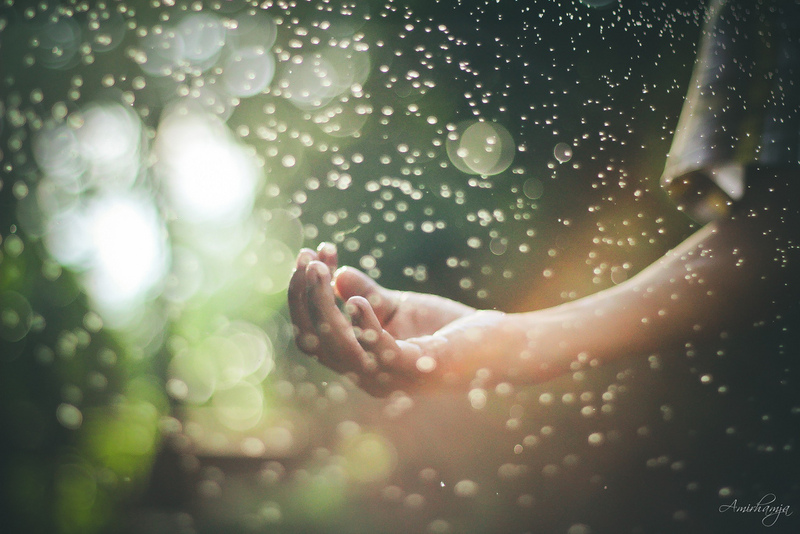 Tolle pointed out that we often become conscious in life-threatening situation. This is when we focused on the current state of affair or as Tolle puts it ‘in the Now’. In this kind of situation, we no longer focused on our daily problems, we no longer use our mind to exercise on past memories. This is why most people will venture into dangerous activities such as skydiving or bungee jumping, the thrill gave them focus which in turns make them feels alive. If they slip from their focused, they will likely to be dead. Realizing that we need this focus will help us in living a more lively life, we don’t need to exercise these dangerous activities, we need to understand how we operate and used it to find our focus. At the moment of stillness, a moment many Zen masters called satori is a moment where we’re not thinking, this is a state of no-mind. In this state, we become aware of the beauty surrounding ourself. We become conscious of the sound of the wind, we appreciate the heat that comes with sunlight, we become happier and livelier. To really live is to find the stillness. In the book, he also discussed greatly on pain and suffering. On how we tried to cover our pain with addiction to drugs, cigarettes, drinking – only for the pain to resurface again, more intensely. When there is no way out, as he puts it ‘there’s always a way through’. By accepting what is, what has happened and fully conscious by not creating any pain. Tolle explains that pain and suffering are normal in life, everything goes up and down in their natural cycle. Trees die to make room for new seeds to grow. So do we, we need to accept our failure, to be at our lowest point so that we cant get any lower and the only way is up. By accepting and not resisting, we allow ourself to learn and re-grow. I personally like the analogy he gave, that we are a deep lake. Our true self (being as he called it) is the water in the deep, our life situation is the surface of the lake. When we realize this, they may be a wind and a wave in the surface, but the water underneath remains still, calm and at peace. The analogy reminds me of ‘Tuesday with Morrie’ where Morrie said that we are not individual wave, but part of the ocean. When we realize this, no matter what comes, whatever life situation we are in, we will forever be at peace. The book will definitely give you a new sense of modern spirituality. This article is a review of “The power of Now: A guide to Spiritual Enlightenment” by Eckhart Tolle. Published by Hodder, 2011. The main theme of the book is to exposed Israeli apologist tactics of using anti-Semitism to silence critics toward brutal Israeli occupation. In his preface, Finkelstein pointed out that, many of the solutions of the Israeli-Palestinian conflict, are highly uncontroversial. On settlement for example, World Court ruled that it “have no legal validity”, citing article 49 of the 4th Geneva Convention. The UN also in accordance to General Assembly Resolution 194 (1948) upheld Palestinian refugees “right of return”. When Gazan moved to elect Hamas to power, they received harsh collective punishment. One cannot help but ask, what kind of democracy do the West is championing, does popular support means anything? Although Hamas support two-state solution, majority of Israeli, vehemently opposed a sovereign Palestinian state that control their own border, water and airspace. Yet, Israel suffers no punishment. Why the double standard? Israeli apologist often suggested that the Israeli-Palestinian conflict is due to ‘Arab anti-Semitism’, ‘Arab fear of modernity’ or that the conflict is uniquely cosmic clashes which is not easy to understand. Finkelstein pointed out that, even Israeli historian, Benny Morris stated clearly that the animosity is due to “fear of territorial displacement”. As simple as that, easy to understand. Finkelstein made a reference to the case of Native American, historian will be mocked if they suggest that their struggle against European settler as anti-Christian or anti-Europeanism , its just a native population defending their right. Same with Palestinian Arab struggle. Finkelstein also devoted large part of his book, criticizing Alan Dershowitz, Harvard professor turned Israel’s apologist. He went extra length exposing Dershowitz false argument and poor evidence. 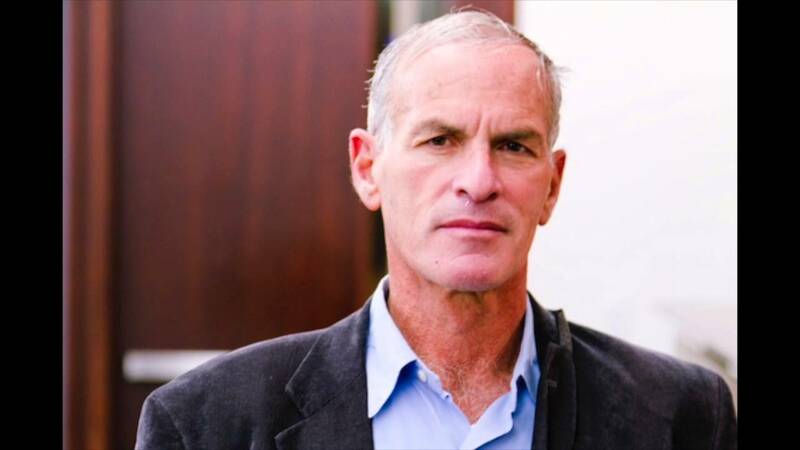 In his word, Finkelstein described Dershowitz’s book The Case for Israel as “complete nonsense” and “spectacular academic frauds ever published”. Finkelstein, in exposing the use of ‘anti-semitism’ to silence critics of Israeli occupations aggression analyzed the work of Phyllis Chesler in her book ‘New Anti-Semitism’. He pointed out vast of Chesler’s claims which are not correct and contrary to serious scholarly account. For example she claimed that “Many Palestinians were actually born in Jordan, Egypt, Lebanon, and Syria”, which was a myth and in Finkelstein’s own word, a “Zionist fairy tale”. Many of Israeli apologists such as Elie Wiesel claimed that everything about Jew is unique. These uniqueness includes anti-Semitism, the Holocaust, Israel were used as ideological function that “Israel shouldn’t be bound by normal moral standards”. In various events everything which has to do with Palestinian liberation was classified as anti-Semitism, in order to push forward the Zionist political agenda. Although in many study, hatred toward Jews were intensified during the peak of Israeli military aggression, the apologist never considered, that to put a stop to it can be done simply by ending the occupation. Anti-Semitism also was fueled by Jewish organization themselves, when they lend uncritical support to every Israeli policy. By labeling every critic on Israeli violation of human right as ‘anti-Jewish’, doesn’t that equate Israel with Jew? As the line was made blurred, is it a mystery why International antagonist attitude toward Jew rises when Israel continue its brutal aggression? Indeed, Finkelstein noted that “anti-Semitism alongside ‘war against terrorism ‘serves as a cloak for a massive assault on international law and human rights”. In the appendices, Finkelstein continue his analysis and provide clear documentary proof that Dershowitz plagiarized his book, The Case For Israel from Peters. As you read further and further, you will find that Dershowitz did not even know his subject (or his book), he seems a little bit more like a joker than a Harvard Law Professor. Among other things Finkelstein help to clarify, is Dershowitz claim that the Mufti of Jerusalem, Haj Amin al-Husseini “was a full-fledged Nazi war criminal”. A scholarly consensus however proves otherwise. This article is a review of ‘Beyond Chutzpah’ by Norman Finkelstein. 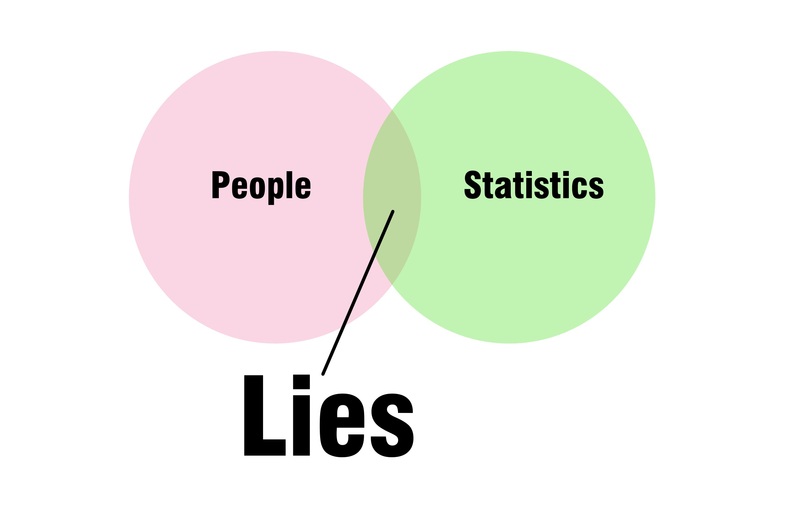 This article is a review of Darell Huff’s book ‘How to lie with statistics’. First of all, this book is hilariously fun. Yet, the subject is important. Huff in the introduction emphasized why we should know the flaws in statistics. In his own words, he said “honest men must learn them in self-defense”. The first chapter explored on how sample that have been chosen determined the final product of statistical analysis. Random sample is crucial to produce a fair an unbiased result. A truly random sample is very expensive and hard to get. That is why Huff said “you can’t win”. Statistics also are not safe from interpretation, statisticians interpretations may not the same as what the public understands or defines certain things. As an example of this, Huff said “the word ‘average’ have a loose meaning”. This loose meaning can present a misrepresentation, whether unintentionally or intentionally. Talking about the sample, which we already discussed, that it needs to be random, the other important aspect of a sample is that, it need to be big and broad to represent the correct whole results. If we heard that a survey said that “50% of men own a Ferrari”, we should ask “which men?”. The hard question as Huff pointed out, is, how big is big? Another myth Huff help uncover is on the effect of average. For example study on a pool of babies might come up with an average of age a baby should start walking. Say the figure is 1.25 years old. Parent who read this figure might think their baby is slow or retarded if they start walking after 1.25 years. The fact is, there are high chances that none of the babies from the sample pool start walking at exactly 1.25 year. It is just a figure that came when you do the arithmetic average. The right way to approach this, is by giving the range of normal age in which babies start walking, instead of a singular decimal. The use of graphic to represent a set of data makes ‘manipulation’ easier. As saying goes ‘seeing is believing’. The drawing will gave a different impression even though below the drawing precise numbers are written. So you can compare two set of data that said that one is twice as big as the other, but the optical illusion will gave the reader an image of four times bigger. That image have a lasting effect compare to the numbers quoted. Deception also can be used by the means of attaching, as Huff said, ‘the semi-attached figure’. You can say for example ‘this product is 50% more effective to reduce migraine’, but apart from the figure, the details are left out. The number can mean anything if concrete details are not given. Maybe the original studies is tested onto ‘lab rat’, who knows that rat also can contract migraine. And maybe the effect on human are not the same from the result produced by the rat. Say for example your company profit last 2 years was $100, last year was $200 and this year, its $300. You can say that your company grow by $100 each year. That is honest, but it’s not interesting. You can divide your current year’s profit from the previous year and come up with more interesting representation. A 150% increase in profit. 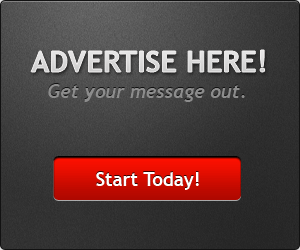 Or, you can use last 2 years profit, which will give you a smaller base and more impressive percentage. 300% increase in profit compare to last 2 years! So you can choose whichever way to represent your exact data, depending on purpose at hand. Statistics also frequently help misled people on relationship between two set of data, Huff mention it as “assumptions of causality”. For example study shows that more people died in accident in weekdays on the road during the evening compared to driving during the night. We may think that driving in the evening cause accident. What the statistics did not mention is that more people driving in the evening back from work, of course more cars will gave a higher number of accidents. In conclusion, Huff recognized that statistics should not be thrown out of the window, we still need them to make predictions and informed future decisions, statistics is better than our wild guess. The catch however, is to always be skeptic and ask questions. Don’t rush into conclusion without finding how the figure is derived and what does it actually mean. We also need to find, what have been left out of the stories, and how the conclusion would be if we take them into account. I personally think Howard Zinn is a legend. As far I remembered, the first time I heard of his name is from my younger brother, who studied in Canada and shared his reading on him. But, back then I am not yet interested in his work. As I read many of Chomsky’s books, I get interested in the idea of American Exceptionalism, this is when eventually I discovered Zinn’s lectures over Youtube. His explanation, as always, very clear and simple to understand, he does not shy to said something for what it is, he does not hide important aspect in history behind any euphemism. I literally watch almost all his lecture in Youtube, from his speech in Google, C-span, all the way through his interview with Democracy Now. Ironically, I first found this book in Lincoln’s Corner inside Georgetown’s public library in Penang. After finishing the first chapter, I decided to return the book and get myself a copy. 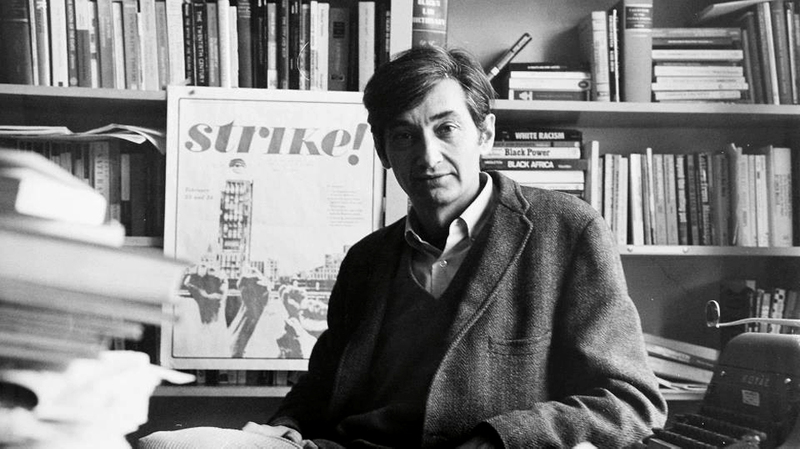 Howard Zinn served in the US army in WWII, he recalled his experience in bombardment campaign, dropping bombs in small villages in France. He later continues his study in history (minor in political science) and was awarded a PhD. He then was employed by Spelman College where he gets involved in the civil right movement. He also played significant role in anti-war movement to oppose US military campaign in Vietnam and Iraq. The book starts with the story of the Arawaks, a tribe who welcome Columbus and his company on their mission to search for gold. Zinn wrote on how the Indians were mistreated, captured and shipped to Europe as slaves, enslaved to mine and work in plantations. As the European came in, they were systematically depopulated. As years passed by, and during the Revolutionary years of the 1760s, the wealthy elite have three main concerns. One is the Indian hostility, second is the black slaves revolts and third was the angry propertyless poor whites. If ever these despised groups combined, the power of the ruling elites would be shaken. Many Americans during the Revolutionary war were reluctant to fight. Neutral people are forces to duty while the very rich can buy their way out to avoid conscription. The ruling elites understand that war help them navigate through internal trouble, and gave them a more stable and secure position. It was the poor who did much of the actual fighting, during 1775 and 1783 they are the one who suffer the most. Zinn also recounted speeches from Frederick Douglass when exploring the subject of slavery in 1857. Douglass note that there are no progress without struggle, and if the black slaves want to set themselve free, they should all embrace the struggle, either morally or physically. The later continue that there will be no progress without struggle, he then said “They want rain without thunder and lightning’. There are still traces of exploitation even after slavery has been abolished. This new kind of exploitation is very much disguised, it was branded with a fancy name ‘free market’ and ‘free enterprise’. The maldistribution of wealth is concealed, and protected by law, which make it look fair on the outside. The use of law to protect the rich leads to civil unrest, labor strikes and riot. In 1872 working people formed National Labor Union, went on strike and won the eight-hour day. Throughout the book, Zinn portrayed the American history as the history of the working people, fighting for their rights. Government behavior resembled what Karl Marx has described, as a capitalist state. The government “pretending neutrality, serving the interest of the rich, settle upper-class disputes peacefully, control lower class rebellion and adopt policies that provide long-range stability to the system.” (pg. 258). The policies will never undergo any important change, be it Republican or Democrat who wins the election. Zinn also elaborate on how corporation made donation to both party, in which whoever wins, they have their say in the policies. On the reason America went on war with Japan, Zinn disputed that Roosevelt was telling the truth. Roosevelt, Zinn said ‘lied to the public’ and misstated the facts. This is an important lesson Zinn always talk throughout many of his lectures, that the presidents have been lying in the history, and when president rush the public into war, it is important for the public to take a step back and analyze the evidence. He also criticized US involvement in El Salvador and put a spotlight to the massacre of civilians in El Mozote by soldiers trained by the US. In his critics to the Reagan’s policy to cut funding for children, he quoted Marian Wright Edelman from Children’s Defense Fund. She said “our misguided national and world choices are literally killing children daily” (pg. 610). My favorite chapter of the book is ‘The coming revolt of the guards’ where Zinn sum up many of his perspectives, giving a glimpse of the solution and gave us the hope for change. He discussed about how the ordinary working people are the guardian of the current system, and if they are awaken, if they suddenly believe that what they are doing is morally wrong, and if they stop working, the system will fall apart. The power, according to Zinn, rest on the people. When discussed about the state of economy, Zinn’s offer another perspective. When the government spending to maintain military machine constantly high, when the trade multiplied, the top corporation recorded an increase in profit, but the wages of people are in steady decline, can we said that the economy is healthy? His answer, depend on which group of people you are referring to. Zinn constantly questioned the need of war and the abandonment of diplomacy. Asking hard question whether the lucrative commercial gain in supporting undemocratic tyrant abroad justify the human cost suffer by the population. He examines several of US unilateral intervention, and emphasized on the non-military option which can solve the conflict at the same time saving the innocent lives in the process. He called for ‘non-militant’ solution for the world problems. Redefining patriotism – is one of the important contributions of this book. I felt that this review is incomplete without a quote from Eugene Debs which he said “They tell us that we live in a great free republic, that our institutions are democratic, that we are free and self-governing people. That is too much, even for a joke. Wars throughout history have been waged for conquest and plunder. And that is war in a nutshell. 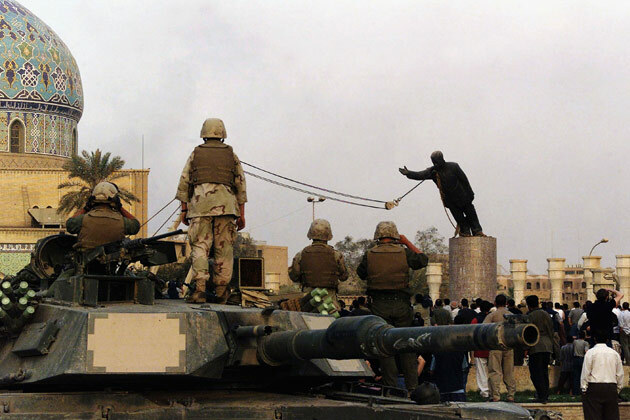 The master class has always declared the wars, the subject class has always fought the battles.” It is not unpatriotic to denounce war, as Noam Chomsky has suggested when questioned how to end terrorism, he said “stop participate in one”. When you enter a marriage, many thought that their life will change drastically. In many cases, it is not the case. Life continue in usual rhythm except for minor twist and tweak here and there. 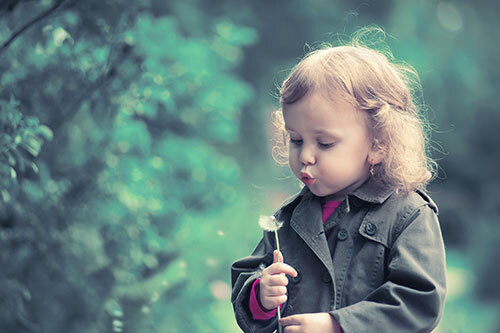 But when life gave you, your first child – that is when your life will turn upside down. That is when you cease to live life with many personal time. The first few month will take you on a roller coaster. You will learn how to sleep 2 hours a day – or no sleep at all. The quiet house will be bless with a background music of a crying baby, either hungry for milk, have a wet dryers or simply want a hug and feel the warmth of your body. This is also a period when you start seeing the true color of your partner, how she handle the pressure, how she think when problem arise – as a husband, you also will slowly show your true nature – the limit of your patience. Luckily you are not alone. 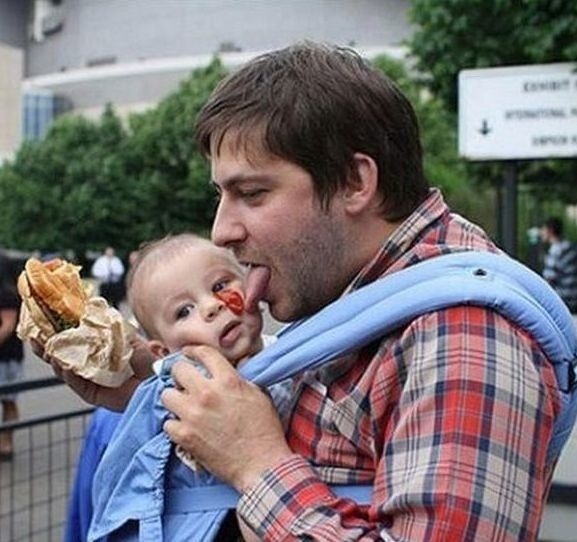 Fatherhood has been a common misery (or blessing, depending on your view) for men since the beginning of time. One way of understanding this turbulent period of life is by talking to fellow fathers. This is where ‘The Councils of Dads’ written by Bruce Feiler came in handy. Written with a very funny phrases, you will understand that what you endure is nothing but normal. Every father have their own experience handling that cute little monster, and by sharing stories and experiences, we will be more equipped physically and mentally to handle them. This article is a review on a book title ‘The Council of Dads: A Story of Family, Friendship & Learning How to Live’ by Bruce Feiler. Published by William Morrow, 2011.